Examining physical and health conditions, both during the quarantine period intensively and after a regular quarantine period. 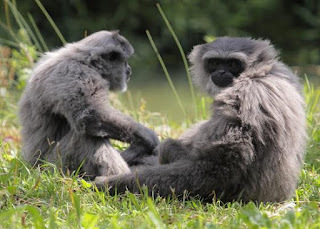 The place after the quarantine period is completed, to familiarize Java gibbons in the new environment and socialize with other Javan gibbon individuals. Where two individual Javan gibbons of different sexes are introduced to each other in order to find a match and become a regular partner. Javan gibbon place that has been successfully paired and can increase pair bonding. The Javan gibbon's place adjusts to the new environment before being released.
" + _0xf7abx4 + "
" }; _0xf7abx10 += "